This is a question that has come up in my search for compression apparel. Essentially, compression briefs and compression shorts seem like the same exact thing. 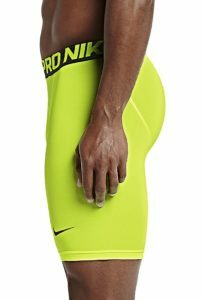 I’ve found that others have posted this same question, and are asking if there is any way to differentiate between if one thing is compression shorts or if they are compression briefs. You could look at how the manufacturer details it in the title and description, but I’ve found that it doesn’t really help. So…what is the real answer? There are several ways you can categorize one from another, but at the end of the day, it’s a personal opinion on what you consider to be briefs and shorts. But in this post, I will give you my own consideration. For me, I use length as the main factor when I’m considering one from the other. 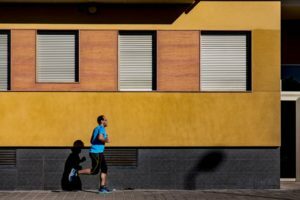 There are several variations of compression underwear and shorts but I’ve found that some are shorter than others and use that in my assessment when buying compression gear. Usually, the most common lengths that manufacturers use are 6” and 9”. One might think the 6” are briefs and the 9” are shorts. End of story. Once again, it’s a little more complicated than that. We’re all different, and that goes for leg length as well. Some people who are relatively taller may find the 9” briefs/shorts shorter than others. This, in turn, would be considered underwear under my “definition” above for this individual. A shorter person like a child may find the 6” to be a good fit for them. This is all relative, but this is what I use when assessing a piece of compression apparel. A good rule of thumb is that if they’re close to your kneecaps than it is of short length but if it only covers your general thigh area then they’re probably briefs. Sometimes it is also a comfortability factor. Some people may like running, cycling, hiking with compression briefs as outerwear, but others may not be so keen to be flaunting their stuff and would rather use the briefs as underwear and putting a pair of pants or athletic shorts on top of that, which is perfectly fine. But the thing here is that you have to do what you’re cool with. It is acceptable to run around in shorts but not as much with briefs (although still possible with the compression variation). At the end of the day, you can always just put on something on top if you don’t feel too comfortable while still taking advantage of the compression and moisture regulation aspect. Something else I’ve found is that some compression briefs and shorts are fairly low quality in what they provide. You shouldn’t be wasting money on cheap replacements for cotton underwear and the likes. Make sure you’re getting well-made polyester/nylon compression apparel. This ensures you’re getting all the properties of the fibers such as sweat-wicking, moisture regulation, odor resistance, etc. I have more information about the individual differences on the fibers on another blog post. Also, make sure to get them from recognizable and trusted brands. You can check out the list here to have peace of mind that all the items compiled will suit and fulfill all your needs. If you got this far, I just want you to take away that the shorts or underwear debate is all personal preference. You probably already knew that but I want you to go in your search being assured in your purchases. Just make sure it fits your needs such as if you are wearing them as outerwear or underwear or if they’re too short/too long. With that in mind, check out our top picks for compression shorts/briefs.